A few months ago Nicole from EcoChicBeautyDiva hosted a giveaway for Seabuckthorn and I was lucky enough to win a huge sample set from the Seabuckthorn company. I gave my first impressions in a post when they first arrived. Now that I have had some time to give the products a good trial I though I’d share my thoughts. My boyfriend has been helpful in giving some of these products a try too, so I have both of our experiences to share. I haven’t done a monthly post like this yet, but I thought it’d be fun to start. I’ve broken it down into categories and picked my favourite from each one. I was completely blown away by Pai Organic’s Camellia and Rose creamy cleanser (review). I didn’t know that a cleanser could completely clean my skin, remove all of my make up and not leave my skin feeling tight and dry. It took only a week for my skin to adjust to this cleanser and the adjustment period only left me with one small zit. Since that time things have been back to my normal, clear skin. Will I repurchase? I already have. This month I kept reaching for my Hugo Naturals All Over Lotion (review) in Grapefruit and Shea Butter & Oatmeal. The company has great standards, the lotion kept my skin moisturized and they smell so good! These two are my favourite scents, but with such a wide range of scents to choose from there’s a scent to suit everyone. And with an EWG rating of 1? Can’t get much better than that. Will I repurchase? Absolutely. After a conversation with someone in the comments section on my blog I was intrigued enough to try the sample of the Extra Honey and Beer shampoo bar (review) by Chagrin Valley Soap and Salve and I am very happy that I did. It has turned my hair around and has given me the silky soft hair I was used to while using conventional hair care products laden with sulphates and silicones. The shine this bar has given my hair is incredible and it rinses so cleanly that I have been able to go for several days without shampooing without the slightest hint of greasy hair. The scent is so subtle it’s virtually non-existent so that leaves tons of room for my conditioner and hair oils to take over. Will I repurchase? I already have repurchased it in the full size. Cheeky Cosmetics is a Canadian mineral makeup company that caught my eye with their vibrant on-trend eyeshadows that are highly pigmented and blend so well together. This great pigmentation and long lasting staying power with minimal fall-out makes these shadows top the list of my favourite makeup for September. This past month I was reaching for Frost, Hottie, Sugar Plum and Sultry to blend together a nice, feminine, summer look. For a full review and swatches click here. Will I repurchase? Yes, and I already have purchased a few of my samples in the full size. With so many shades to choose from it’s so much fun to mix and match and so hard to choose which ones I think I’d use the most! It has been a bit of a journey, but I think I’ve finally found a good balance of hair care products that work well for my hair and have honestly given me the best hair I’ve had in my adult life. I never thought I’d say this, but my hair feels softer, healthier and looks more smooth and has better shine than it ever did with conventional products or even the expensive salon-grade products. Even though I have dyed my hair repeatedly for years, and have gone from very light blonde to very dark brown and back again several times, my hair now air-dries without any frizz. I definitely couldn’t boast about that with my salon brands. The transition from salon to natural products wasn’t pretty. I nearly quit to go back to salon products so many times I can’t even count. But now that I’m on the flip side (nearly two months later) I can honestly say I’d never go back. I no longer expect my shampoo to lather like crazy, and understand that my hair can be just as clean without the stripping sulfate ingredients. Like I’ve said, my hair has never been healthier. Why would I go back? Surprise! Another shampoo bar review! I am using the Lavender Spice shampoo bar (review) faithfully, but I really wanted to find something that I could use without having to worry about conditioner. I was talking with someone else who is trying out Chagrin Valley bars and she said that the honey, beer and egg one worked well for her fine, long hair which is exactly what I have. I don’t mind using honey, or beer, but the idea of undeveloped animals on my head turns my stomach. So I opted to try the Extra Honey Beer shampoo bar instead. 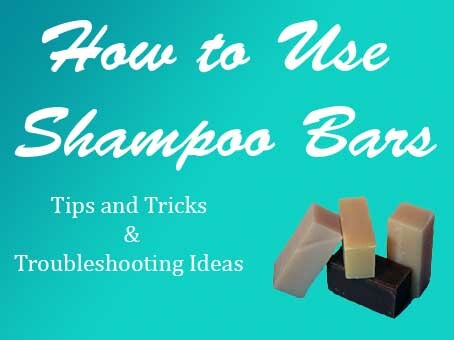 I love the idea of shampoo bars for travelling because you aren’t carrying around the extra weight in water, plus you don’t have to worry about it leaking everywhere all over your bag. I have yet to find something that will work as a solid conditioner. Coconut oil on it’s own is far too heavy for me, and cocoa butter, shea butter and mango butter on their own leave my hair a solid, greasy mess. When I saw this bar on the Chagrin Valley website I wanted to give it a try. If you’ve read my previous post on reviewing the Rose Milk Hair Treatment by Lavera you’ll know that I’m a big advocate for hair masks. There is so much out in the skin care industry to support proper skin care with masks, serums, creams, oils, scrubs, you name it but when it comes to hair products, most people stick to shampoos and conditioners. You spend that time cleansing, protecting and moisturizing your skin, you owe it to your hair to do the same! Although I do like the Lavera hair mask, I am always looking for new products to try. Plus, it doesn’t hurt to do a hair treatment more than once a week, right? So long as it doesn’t weigh your hair down too much, I suppose. When I found a natural beauty store an easy five minute bicycle ride from my house I was thrilled, and then when I discovered it carried John Masters Organics….well, let’s just say it made me very happy. I purchased the Citrus and Neroli Detangler (review) because it works so well for my hair and is worth the price, and the Honey and Hibiscus Hair Reconstructor.